Is baptism essential for receiving the Holy Spirit? Question: : I have a question about baptism. 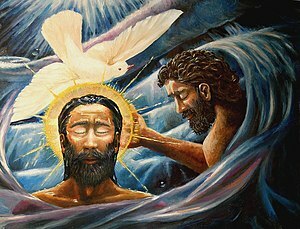 Peter said, “Repent and be baptized every one of you in the name of Jesus Christ for the remission of sins, and ye shall receive the gift of the Holy Ghost.” (Acts 2:38) Is baptism a part of the way of salvation? I mean, is it a requirement to be baptized before we can receive the Holy Spirit? Answer: Baptism is a normal part of the way of salvation, but I don’t believe it is essential for salvation, nor is it a requirement for receiving the Holy Spirit. Let me explain. In Acts 10 Peter preached the gospel to Cornelius, the Roman Centurion who received a message from an angel to call for Peter to come and show him the way to life. As Peter was preaching Cornelius and those with him received the Holy Spirit. Peter then said it was okay to baptize them. So they received the Holy Spirit before being baptized, but not before believing. When the thief on the cross asked Jesus to remember him when he came into his kingdom, Jesus said, “This day you will be with me in Paradise.” Obviously, there was no opportunity to baptize the thief. When Paul told the Corinthians (1 Cor.) that he was glad that he had baptized very few of them because Jesus sent him to preach the gospel, not baptize (verse 17), he made it plain that baptism was not essential for salvation. However, baptism is often associated closely with salvation because it is the symbol of salvation. In baptism I passively am immersed or sprinkled by another, symbolizing that I cannot save myself. It is a gift of God, not of works. By submitting to baptism I am signifying that I really believe this gospel. But the essential part of my salvation is not the baptism, but the faith. Nevertheless baptism can be associated with salvation because it is the symbol of our faith and faith is what saves us. So Peter does not feel inappropriate in saying repent and be baptized in order to be saved and receive the Holy Spirit. In essence he is saying, “Repent and demonstrate that you really believe by submitting to baptism and you will be forgiven and receive the gift of the Holy Spirit.” Paul can say later that in baptism his sins were washed away (Acts 22:16), though he tells the Philippian jailer in 16:31 that the way to be saved is “believe on the Lord Jesus Christ and you will be saved.” If you view baptism as a symbol of faith, then baptism saves you, not, as Peter says, “the removal of dirt from the body but the pledge of a good conscience toward God,” i.e., believing. « Can an anointed chair give someone revelations from God?